Behold the magic of crayons. If you’re going to have a classroom wreath, it should be both pretty and functional. This DIY crayon wreath definitely delivers. It’ll add great color to the entrance of your classroom. Plus with the added letter board, you can change out the message as often as you’d like. Use it for special birthday shout-outs, weekly reminders, or just seasonal messages. 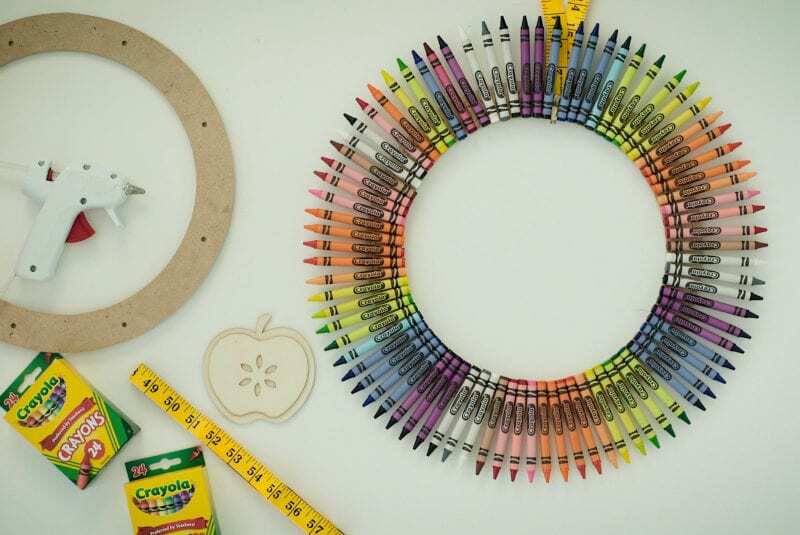 Here’s a video of how this crayon wreath came together. 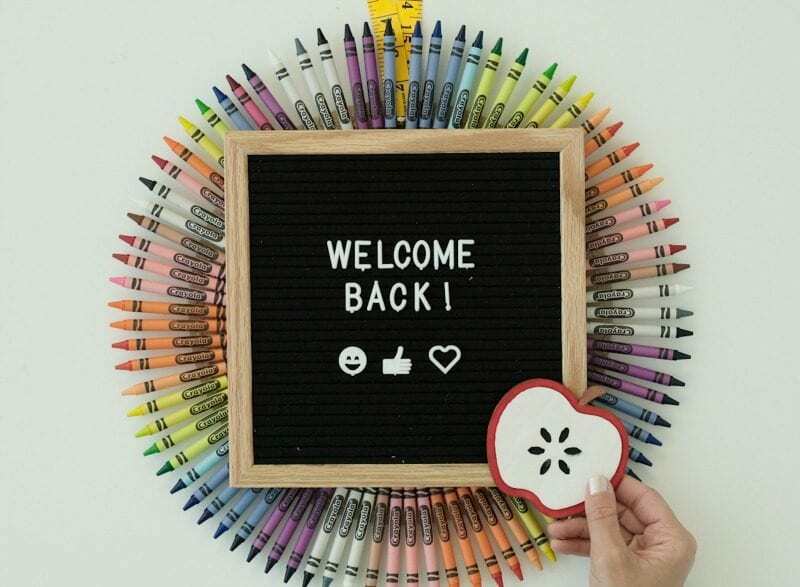 If you want to use the same wreath frame or letter board, check out the links below. 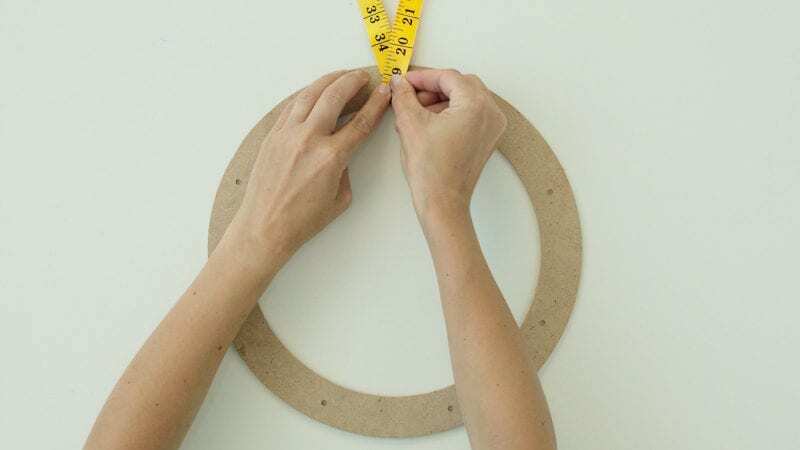 Cut your tape measure for hanging your wreath. We used a tape measure for hanging our wreath. The yellow adds a nice pop of color. 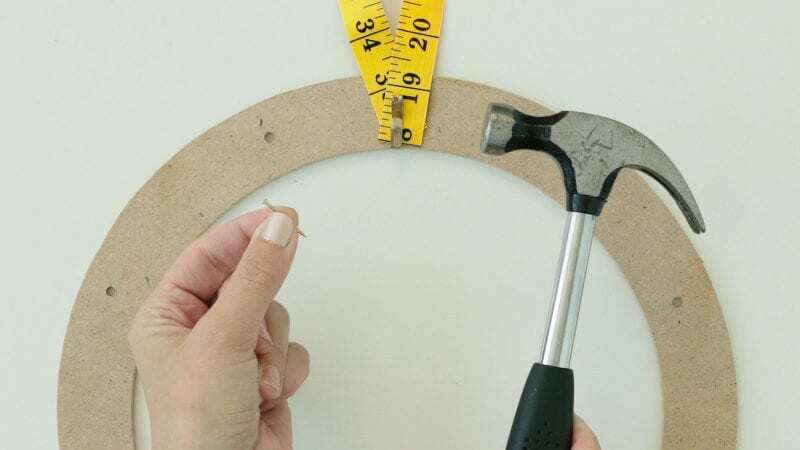 Just cut it to the length you want the wreath to hang and attach it to the wreath frame with hot glue. You can also use ribbon or any other similar material that you prefer. The message board needs a way to hang in the middle of your wreath. A simple picture-hanging hook works well. Hammer it into the center of your wreath frame. Hot glue the crayons onto your wreath frame. 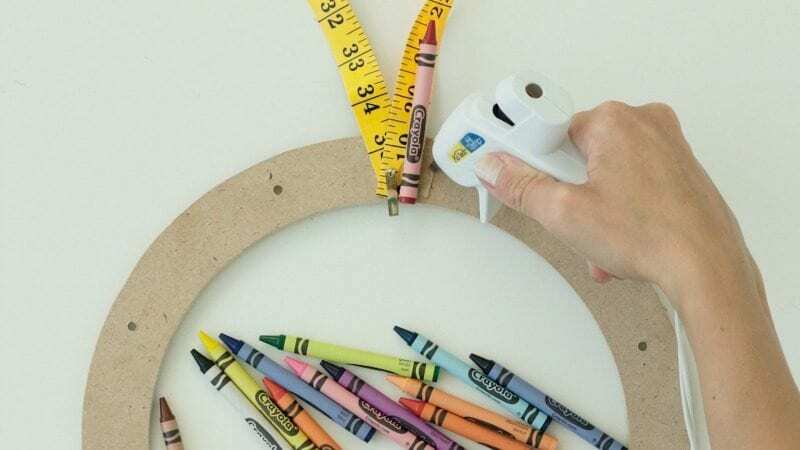 Now use hot glue to attach your crayons to the wreath frame. Make sure all the crayons line up around the edges. You can also play with the placement of the crayons, in case you want to do a rainbow effect or just mix it all up. Hang your message board and add decorations. Now it’s time to decorate. We’ve seen crayon wreaths decorated in many different ways, using ribbons, letters, names, etc. We like the simplicity of the letter board and an apple. We picked the wooden apple up at a local craft store and then painted it. Be sure to attach everything securely. Use the wreath as a place for special announcements, words of inspiration, or just daily or weekly reminders. You could even make this one of the jobs in your classroom, giving students the permission to change out the message on a regular basis. 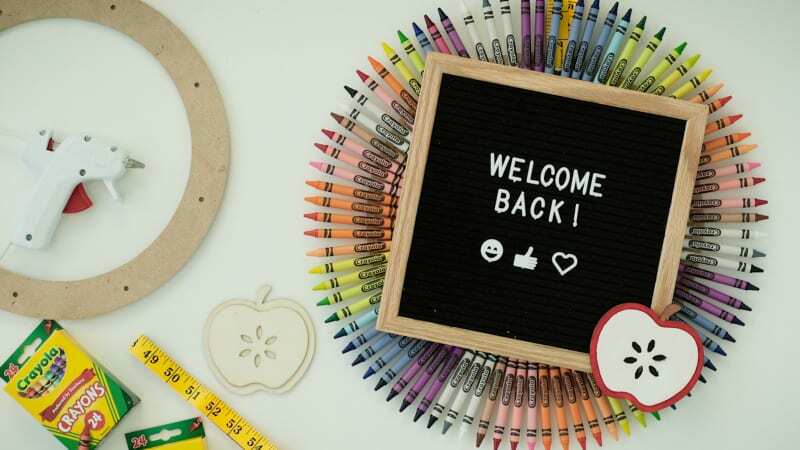 Do you have a great school wreath to share? We’d love to see it. Come and share in our WeAreTeachers Chat group on Facebook. Plus, get our project for making crayon shoes.